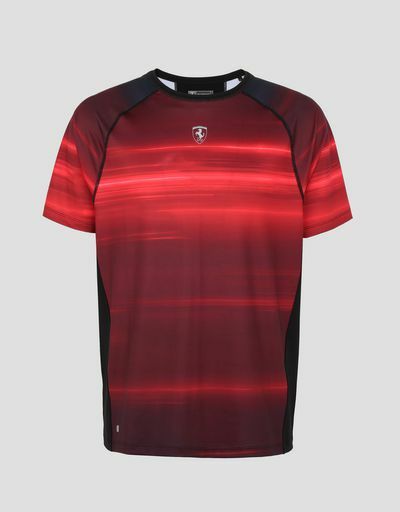 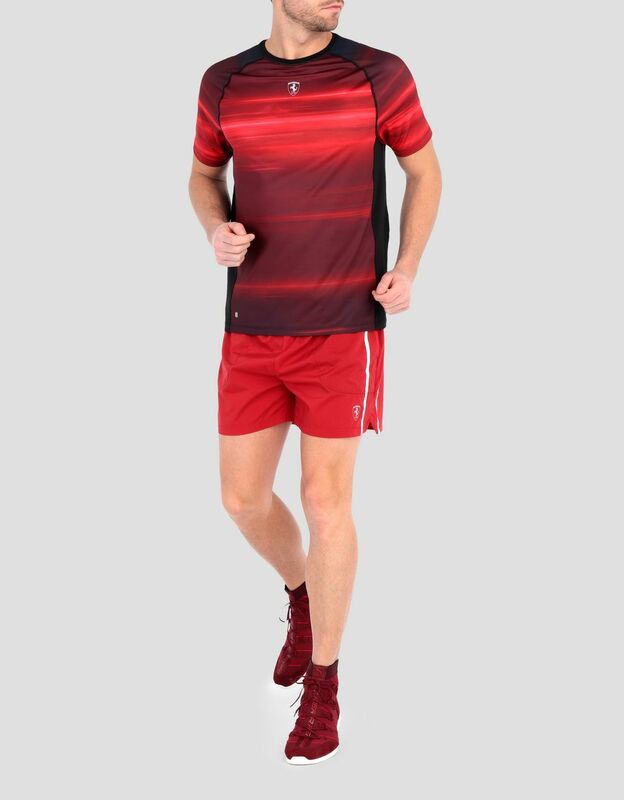 The colors of a fiery sunset enliven this original men’s technical fabric T-shirt, which is perfect for workouts. 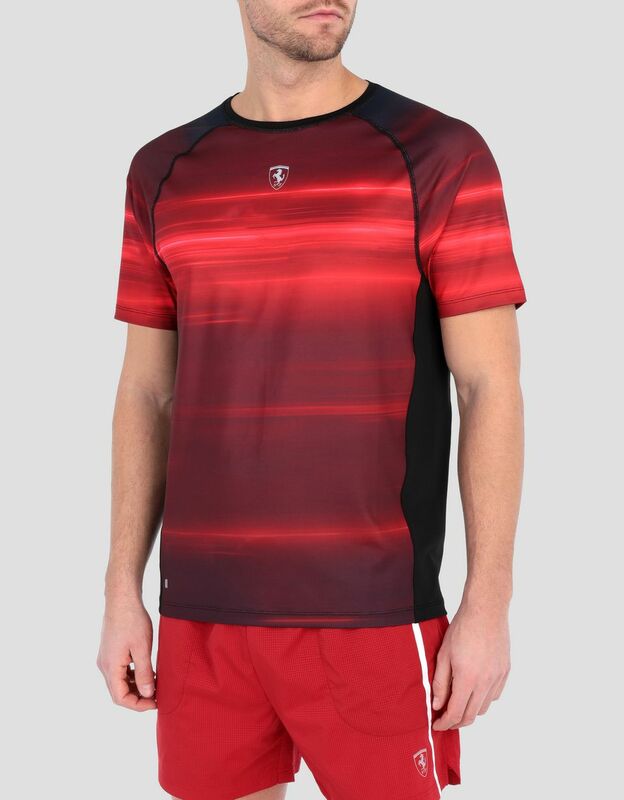 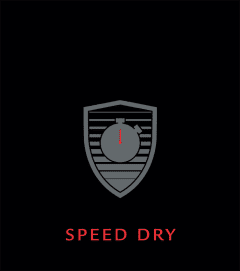 Designed for training, this short-sleeve T-shirt is made from Speed Dry fabric, which guarantees breathability and comfort in all conditions. 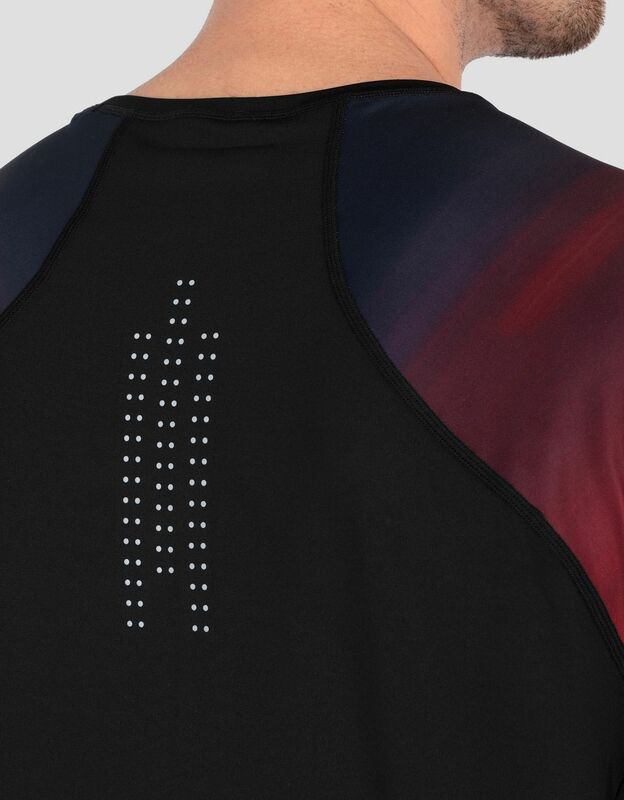 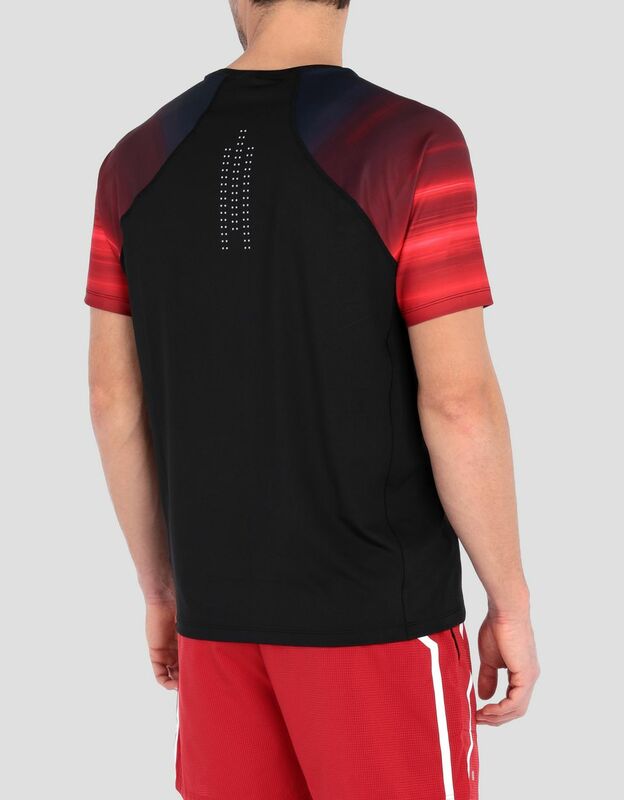 Its ergonomic shape provides functionality to the garment, which is embellished with reflective dots on the back for workouts in the dark. 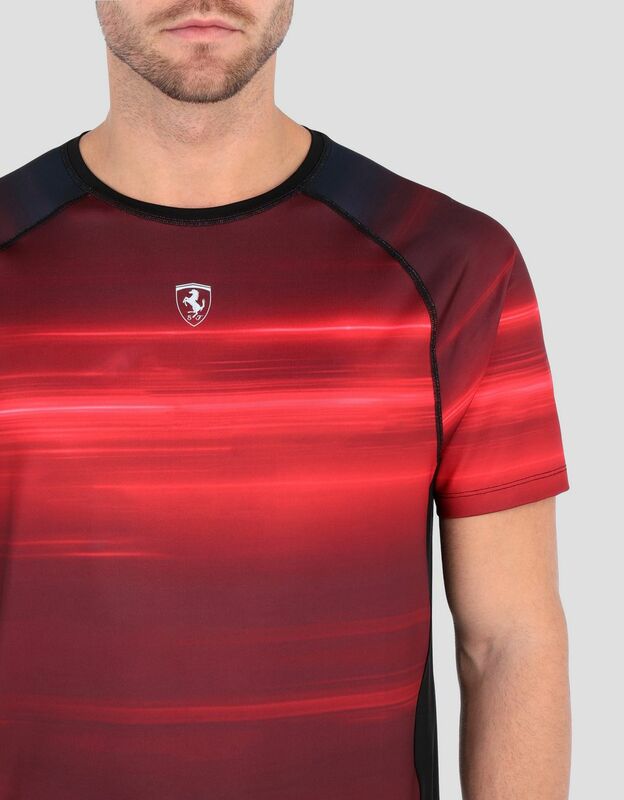 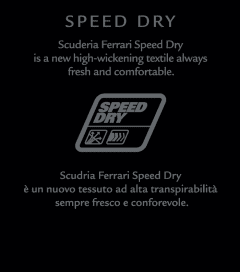 The sunset-inspired print on the front and sleeves makes this fan T-shirt, which is customized with the ever-present Ferrari Shield, unique.